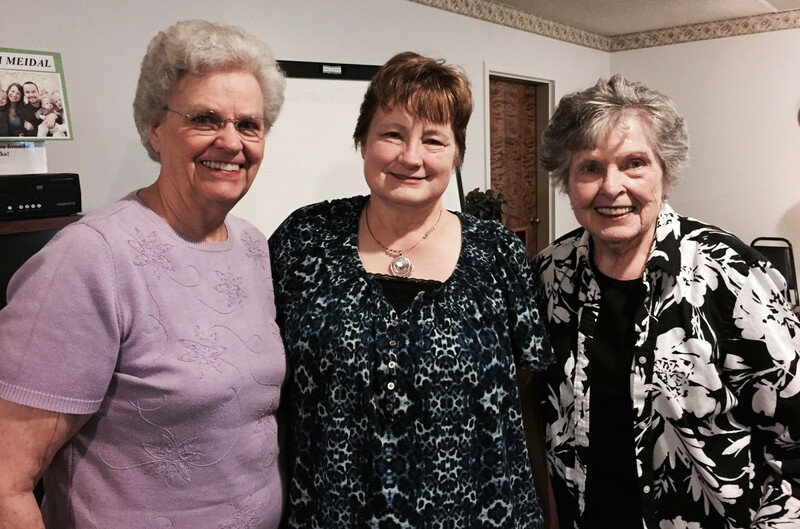 Two former presidents of WMC encourage Viki Rife, executive director of Women of Grace USA. Left to right are Joyce Griffith, Viki Rife, and Betty Ogden. Vicki Rife, executive director of Women of Grace USA, received words of encouragement from two former presidents after she spoke this morning at Grace Village in Winona Lake, Ind.